A pop-up vendors plaza will open at the future site of a transit-oriented, mixed-use development, and some of the vendor kiosks will be “slices” of a decommissioned Metro car. WASHINGTON — A pop-up vendors plaza will open May 17 at the Grosvenor—Strathmore Metro station, and some of the vendor kiosks will be “slices” of a decommissioned Metro car. Fivesquares Development is using part of the site of its future transit-oriented, mixed-use development at the Metro stop, currently a surface parking lot, for the plaza, with food stalls and other vendors, and it got its hands on one of Metro’s old 4000-series cars. “We reached out, and they loved the idea. I have artists and welders working on it right now trying to create reused kiosks out of the old Metro car,” he said. The 80,000-pound car was transported to a warehouse in Brockville, Maryland, where it is currently being deconstructed. They will also repurpose other parts of the car for different features at the plaza. Fivesquares is working with reclaimed steel sculptor Robert Mojo of Rusted Rebels LLC. 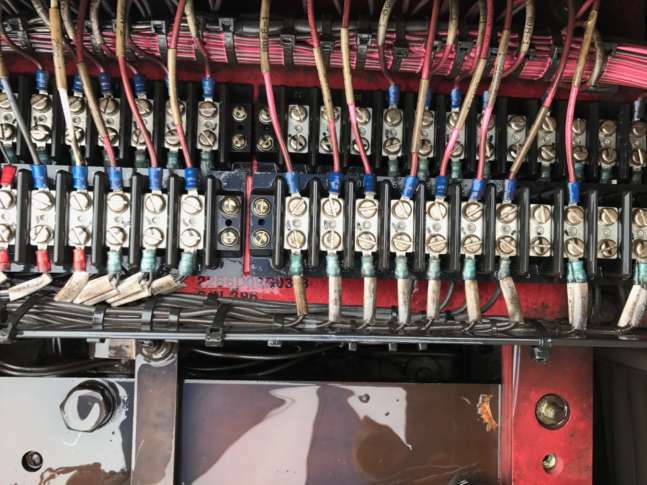 “It turns out the undercarriage that none of us see is tons of material, from electric wires to condensers that everybody who looks at it says: ‘Wow, it’s incredible Metro keeps these running. These are complicated,’” Kaplan said. “We’re hoping to, at a minimum, be able to display some of those because they are almost like an art installation, and Strathmore Square is meant to be a music and art amenity-rich place,” he said. They also plan to reuse the seats as free-standing seating on the plaza. A ribbon cutting at 3 p.m. on May 17 will open the vendors plaza. In addition to vendors, there will be performances every Wednesday, Thursday and Friday from 4 p.m. to 6 p.m. featuring local high school bands and artists-in-residence from Strathmore. This is a pilot project for Metro to see if food stalls and other pop-up stores could work at other Metro station entrances. The Silver Line’s Wiehle—Reston East station is also experimenting with pop-up shops.